Our initial instructions were to undertake a design review of the present schematics in place, to carry out a study on whether or not was an opportunity to improve on the loss of perceived value to the property as a result of adapting a home for a disabled person. In many cases, significant investment and capital is put into a property to adapt a home to suit the needs for a disabled user. This can often come at the cost of a loss of bedrooms, a compromised layout, and significant wasted space. Circulation routes in a home offer very little value from a property value perspective and if possible should be reduced or utilised as an alternative space such as, for open plan, entertainment, or bedroom uses. The compromised scheme retained 2 stair cases within the home to access the first floor with a lift placed furthest away from the centre of the home, with differences in floor levels on the first floor, dealt with the ramps, further increasing the amount of circulation and “wasted space”. 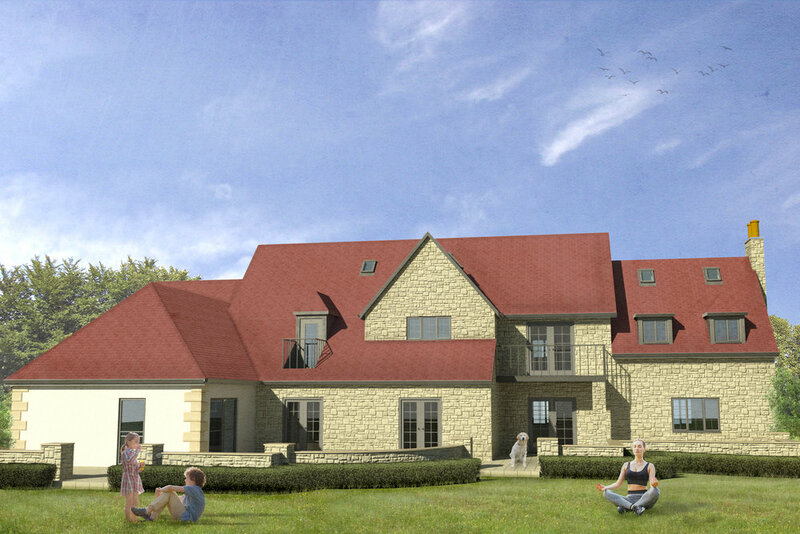 The proposed scheme prepared for the client, by previous architects, did not deal with the issues already orient within the significantly extended home. The design put forward by France and Associates has included the construction of a feature entrance extension which ties up the various extended areas of the original home, reduces circulation space with it forming a coherent link, accommodates the difference in levels; and by way of reducing the circulation space within the original homes, retains bedrooms that had previously had been envisaged to be lost, and provided sufficient space for three large double bedrooms. The successful design has now been worked to a technical drawing package and it is envisaged to commence on site in Autumn 2018 where France and Associates will continue to act on behalf of the client, now as contract administrators.